If you or a family member has been injured in a vehicle accident, you may be considering legal action to obtain compensation. 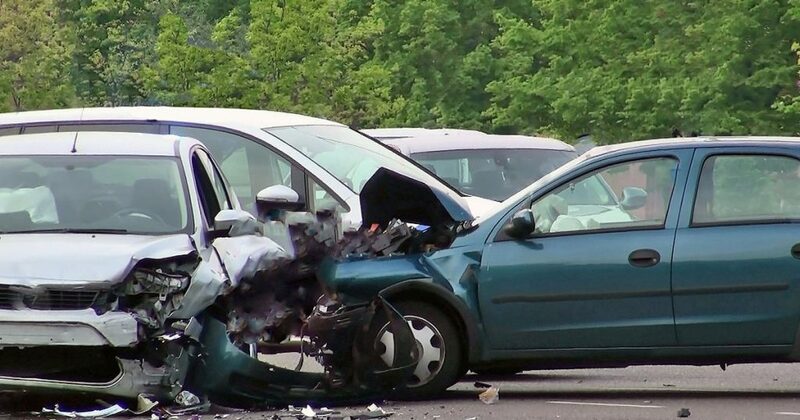 Very few vehicle accident injury claims are resolved by a trial and jury decision; the vast majority of cases are resolved after negotiations between the plaintiff’s attorney and the insurance company covering the defendant. That being the case, it makes sense to value your case as high as reasonably possible, because the settlement will likely be less than your first demand. You don’t want to “shoot for the moon,” because being unreasonable and unrealistic will just turn off the insurance company. They’ll feel you’re not dealing with them in good faith, may decide not to negotiate and just proceed with litigation. They will wait you out until you lower your demand or just litigate the case. What is a car accident injury case worth? What’s the value of your case? It depends on a number of things. There are some general guidelines that insurance companies use to create a rough estimate ofwhat a claim might be worth. There are several variables, and each accident case is unique. When assessing the value of a car accident case,the Louthian Law Firmlooks at several things. The first is what kind of insurance may cover the claim and whether that’s your policy or the other party’s policy. Medical bills and related expenses that were incurred since the accident and for expected future treatment. Income lost due to the accident because of time away from work recuperating and while receiving medical treatment. Physical disability, scarring or disfigurement that’s expected to be permanent. The loss of family, social and educational experiences due to the injury, or time lost with others due to treatment. Emotional harm, including stress, depression and strains on family and personal relationships. The cost of repairing or replacing damaged property. With copies of bills and receipts,many of these damages can easily be calculated; others aren’t so cut and dried. How do you place a value on pain and suffering or on missed experiences and lost opportunities like important family get-togethers? To come up with a value for your case the insurance company totals medical expenses related to your injury (or “medical special damages” or “specials”), which are used to decide how much to pay you for your pain, suffering and other non monetary losses (or “general” damages). If your injuries are on the minor side, the insurance company may multiply the special damages by a factor of 1.5 or 2. If the injuries are particularly painful, severe or chronic,they could multiply the special damages by 5 to 10 to arrive at a figure for general damages. The amount of lost income because of your injury would be added, and the insurance company will use the total as the start of negotiations with you or your lawyer. The next factor in the calculation is the degree of fault for each party. State laws are used to decide personal injury cases, and they differ from jurisdiction to jurisdiction. In many states if you are more than half to blame for the accident,your case will be dismissed. In a few states your case will be dismissed if you’re responsible to any degree, while in the remaining states you will be compensated to whatever degree the defendant was the cause. The insurance company will value your case in accordance with the applicable laws in your jurisdiction. A critical role for a plaintiff’s attorney is to investigate your accident so we have a good grasp of the facts of the situation; that way, we can get an idea of the degree of fault of both parties and the chances your case will be successful. After the special and general damages are added up and multiplied by a reasonable factor and the degree of fault is considered, we have a figure that gives us a general idea of what a case is worth, but there are other issues remaining. Recent jury verdicts for similar cases in the area must also be looked at to give your attorney a better idea of what may happen at a trial. A jury may be more or less sympathetic to you or the defendant,given where the trial takes place and the biases of jury members. If your case doesn’t settle at an early stage, discovery takes place. This part of the litigation process involves the sharing of documents and information between the parties, and witnesses are asked questions, under oath, by attorneys for both sides; this is known as a deposition. Discovery can provide information and insight that can help or harm your case, or both, impacting its value. How well, or poorly, the parties and witnesses do at a deposition can provide attorneys an expectation of how a jury will relate to them and whether they’ll be seen as credible. These can be critical factors in the success or failure in a trial and will impact your case’s value. Valuing a case is not an exact science, and the value can go up or down over time as new evidence is reviewed, rulings on your case are made and depositions show the strengths and weaknesses of both sides’ witnesses. Whatever the ultimate value may be, it’s always a good idea for the plaintiff to start on the high side, as long as the figure can be justified. Otherwise, an attorney isn’t doing his or her job for their client. Leaving money on the table which, ideally, should be in the client’s pocket is not something any plaintiff’s attorney wants to do.